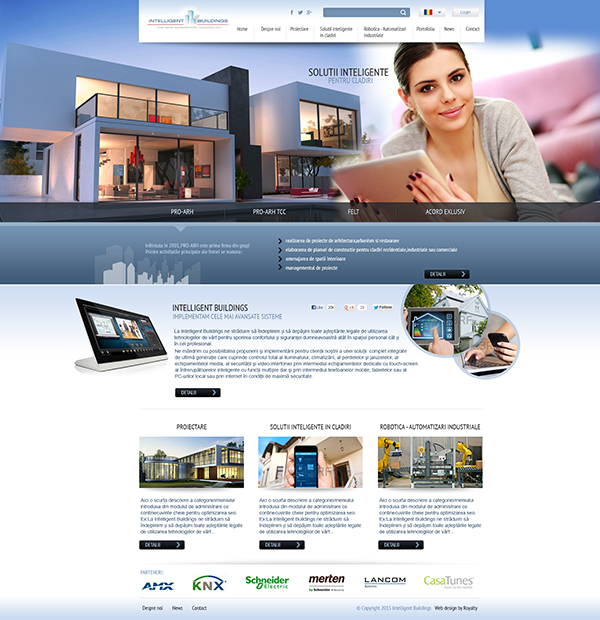 Our web design agency conducted a new presentation page with responsive design for Intelligent Building Group of Companies. This company deals with design, consultancy and execution in the field of architecture and automation in buildings. Personalized web page displays information about each company within the group, services and reference works for each of them. The site allows portfolio and information structuring according to field of activity: Architecture and Urban Design, Smart solutions in buildings, Robotics, Industrial Automation.